I recently heard two more song introductions that absolutely qualify for my list of Best Song Openings of the 60's and 70's. And just to remind you of the criteria, I'm not looking at openings that mimic the song's riff or chord pattern... I'm looking at intro's that stand unto themselves, intro's that have almost nothing to do with the rest of the song, they were written to be, well, original cool curtain raisers by themselves. So the list now rises to nineteen songs. 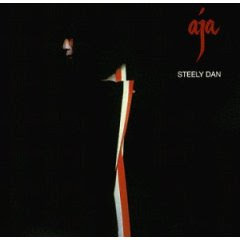 Steely Dan -- "Josie": Here's a perfect example of what I mean, if you haven't clicked back to the original posting. It hit me when I recently took the family to see Steely Dan perform at the Beacon Theater. "Josie" opens with a weird Asian-sounding set of cutting electric guitar minor-key root chords with wind chimes swirling around in the background, a high hat lightly keeping a quarter note beat to build the tension. It segues into four typical Steely Dan minor seventh chords, cymbals crashing on each chord, hanging on the last one while an electric piano twirls some notes... then wham, into the funky beat and guitar riff of the song. The intro and the rest of the song are not related, but somehow they just click. Everything about the Steely Dan world is off-kilter, so piecing these two parts together seamlessly is par for the Fagen/Becker course. 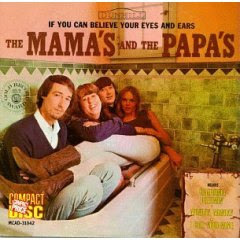 The Mama's and The Papa's -- "California Dreaming": I had this entire song in reserve for a deserved post by itself, but as far as great intro's, this one was not only outstanding, but done on an acoustic guitar, well ahead of the similar sounding Simon & Garfunkel's "The Boxer." Pretty much panned to the left speaker, a solo acoustic guitarist picks out a canticle-like E suspended pattern, joined by another guitar in a higher counter melody until a hard E major chord strum. Pause. And then out of the right speaker, "All the leaves are brown...."